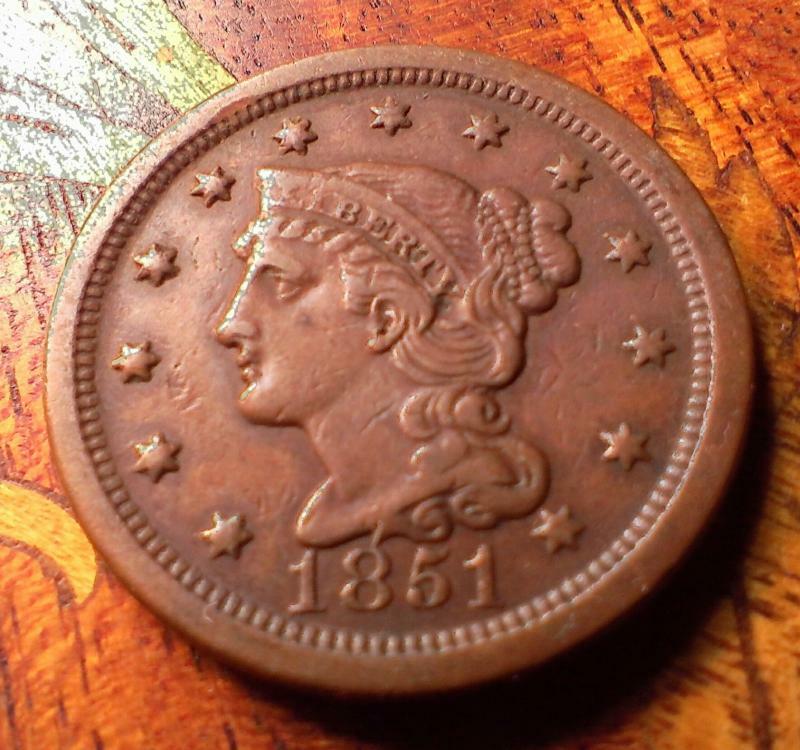 Visit our Ebay Store for LOTS of interesting and exciting coins like the Large Cent 1851 braided hair liberty pictures below! 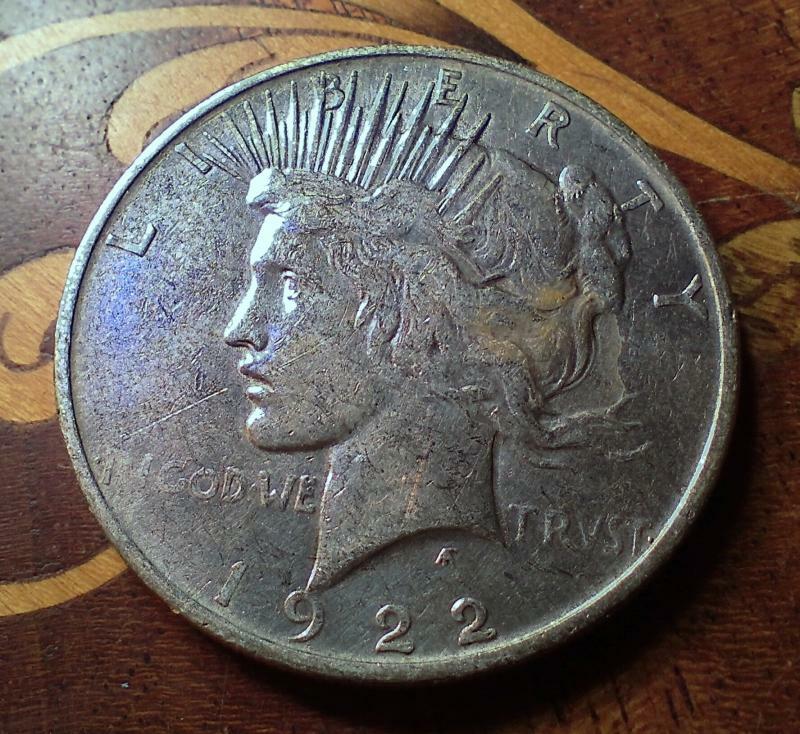 The Peace dollar was Minted from 1921 to 1928, and again in 1934 and 1935. It was designed by Anthony de Francisci. 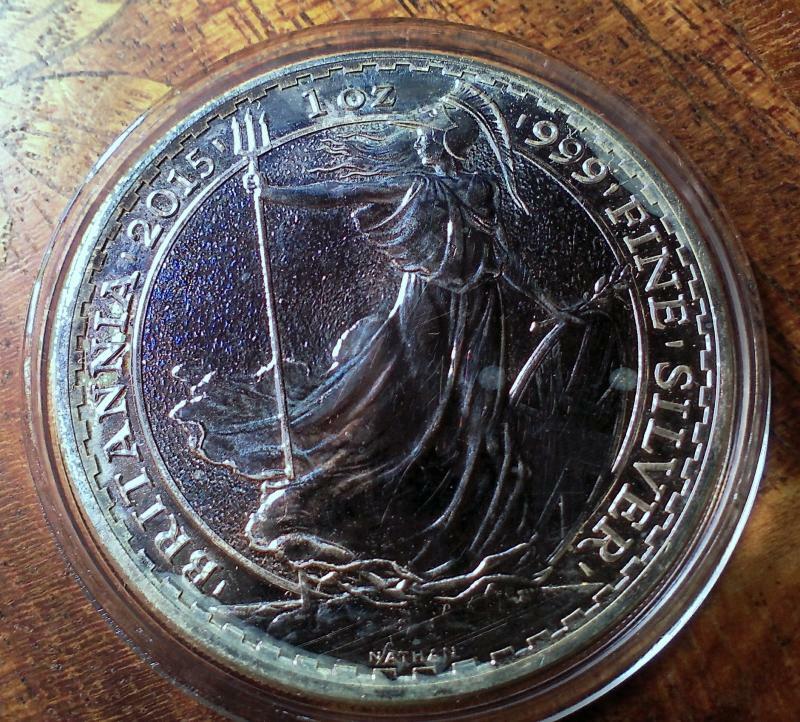 The obverse is, and the reverse is a bald eagle holding an olive branch with the legend "Peace". 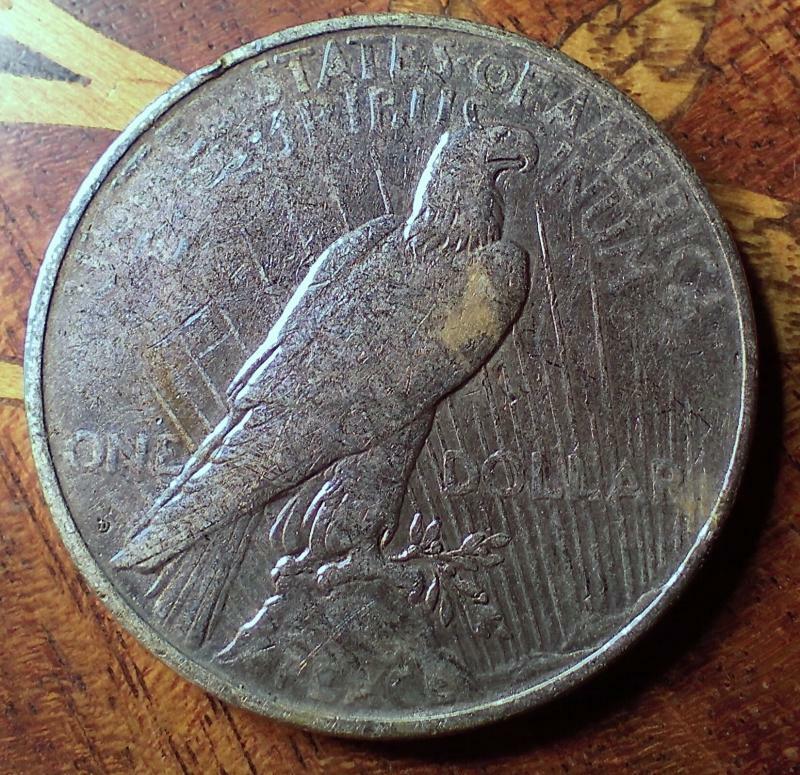 It was the last United States dollar coin to be struck for circulation in silver. 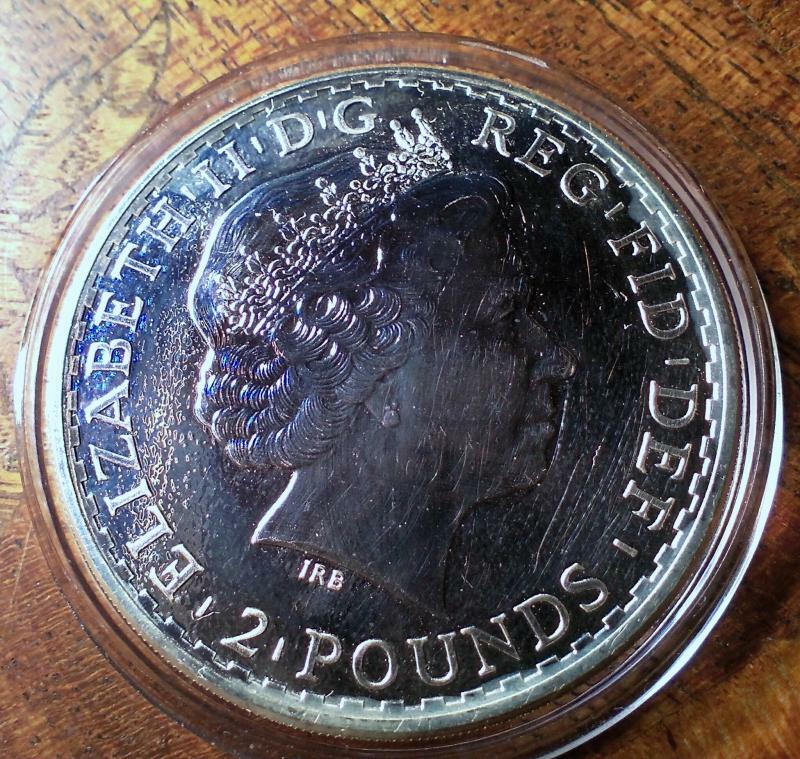 Coin for sale is the coin pictured. Shipping is included in the price and Coin will be shipped in at least two business days via USPS first class mail. No international shipping at this time. This Coin has some scratches on the front, and small milk spots at the top of the coin.